PN Recruitment and Selection Centre New Civil Lines,, Opposite Commissioner Office, Bahria Road, FAISALABAD. PN Recruitment & Selection Center at PNS AKRAM, Jabal-e-Nooh Gwadar. PN Recruitment and Selection Centre 92 Shami Road, Near Fortress Stadium, LAHORE Cantt. PN Recruitment and Selection Centre 217 Sher Shah Road, MULTAN. 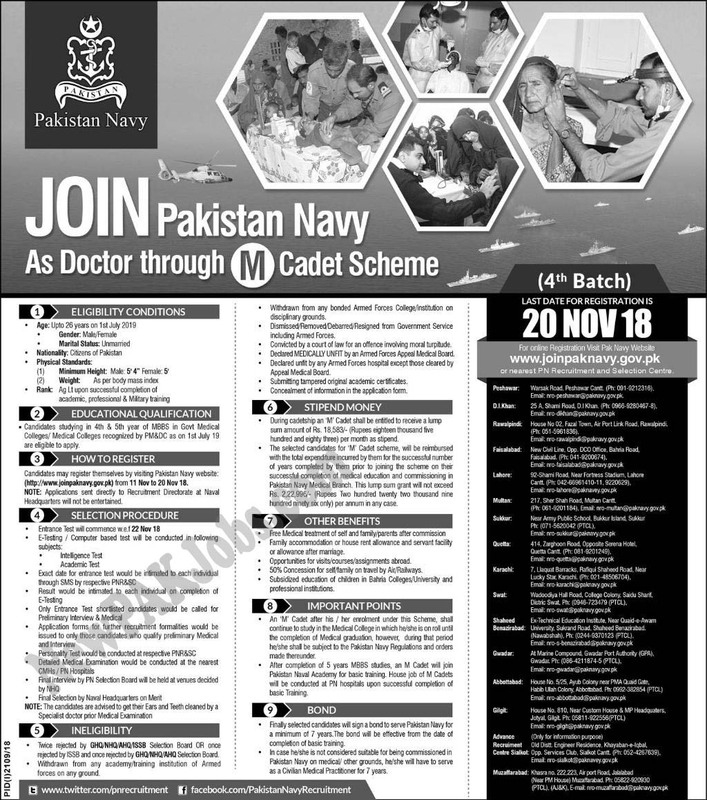 PN Recruitment and Selection Centre Near Army Public School Bukkur Island SUKKUR.